Sheffield Antiques Quarter Vintage Spring Market – Sunday 28th April | IT'S HAPPENING IN HEELEY! 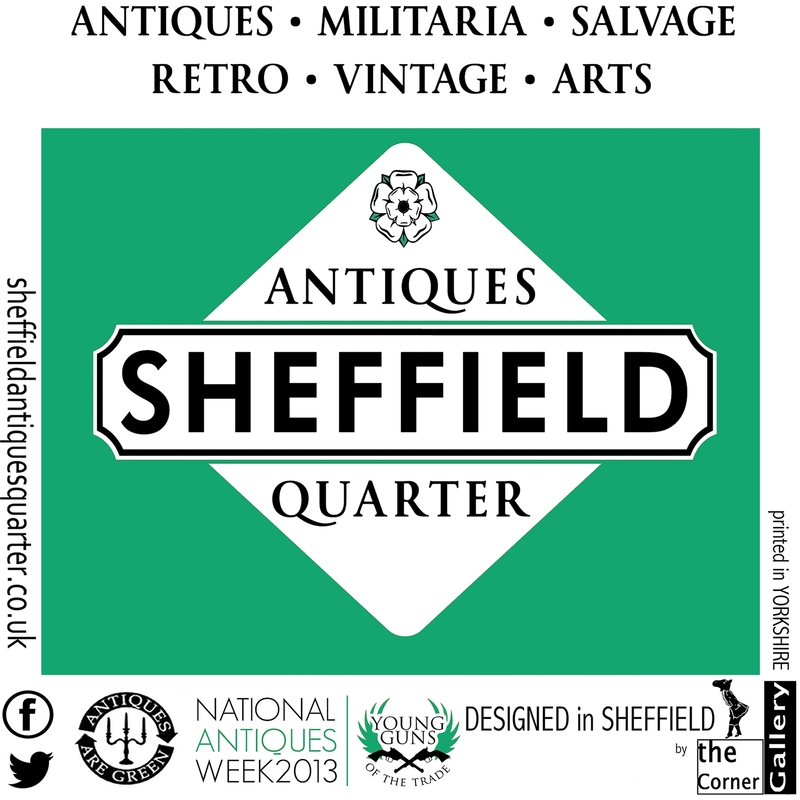 After a rather fabulous launch event in November 2012, the Sheffield Antiques Quarter are now going to celebrate National Antiques Week with their very own Spring Market. 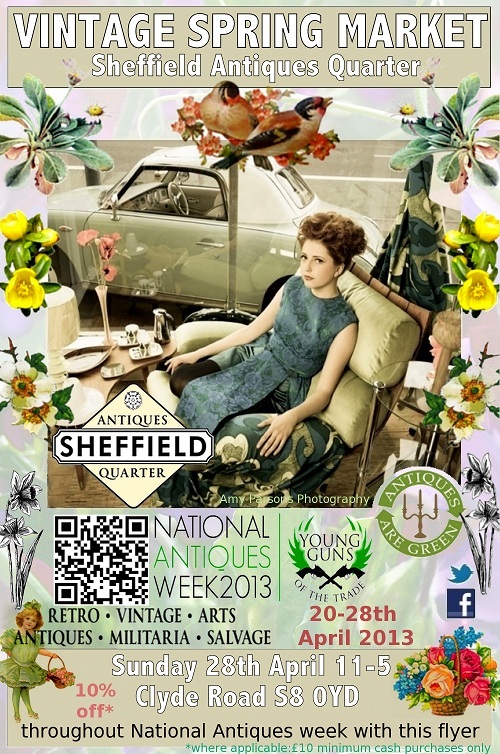 National Antiques Week runs from 20-28th April 2013 and the Quarter will be highlighting ‘The Greener Side’ of Antiques. They will be celebrating in style with all Centres and Shops flying green flags and rolling out ‘Green’ carpets to highlight all that’s ‘Green’ about Local Retail. With Recyled, Reused and Reclaimed the buzz words for the week there will be plenty of offers and an air of excitement rippling through the area…. Local Gallery ‘Art@TheVault’ has designed Astro Turf mats, runners and A’s for use across the Quarter and there will be offers of 10% discount in many of the businesses and many other special offers throughout the area. The ‘Spring Market’ takes place on Sunday 28th April from 11am-5pm and will be held on Clyde Road (off Broadfield Road) with over 30 stalls showing retro, vintage, arts, antiques, salvage and militaria. The Antiques Quarter will also be releasing the latest edition of the trail flyer, painted green and sporting the ‘Antiques Are Green logo’ as well as the Sheffield Antiques Quarter fairtrade bag to further promote the quarter. Members of the group will also be sounding out plans for the development of a glossy magazine for the area and launching a loyalty card.